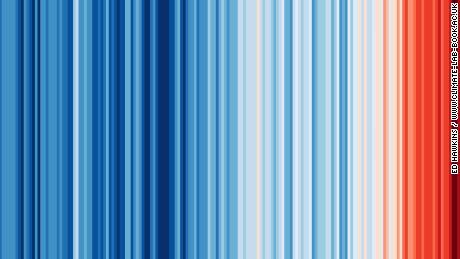 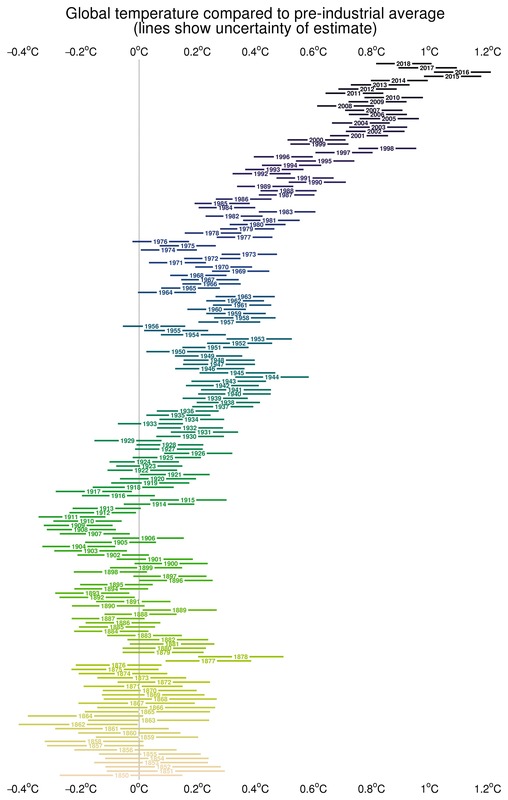 Global Warming Index from Jan 1950 to May 2017 for HadCRUT4. 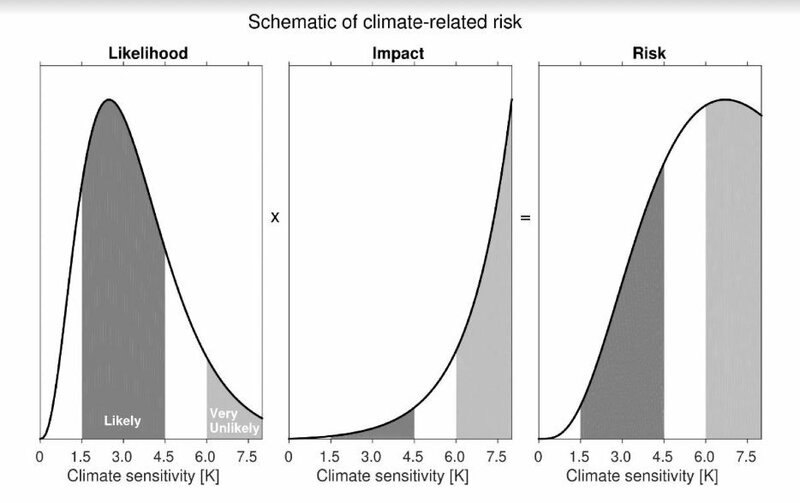 The anthropogenic contribution in orange (with 5–95% confidence interval). 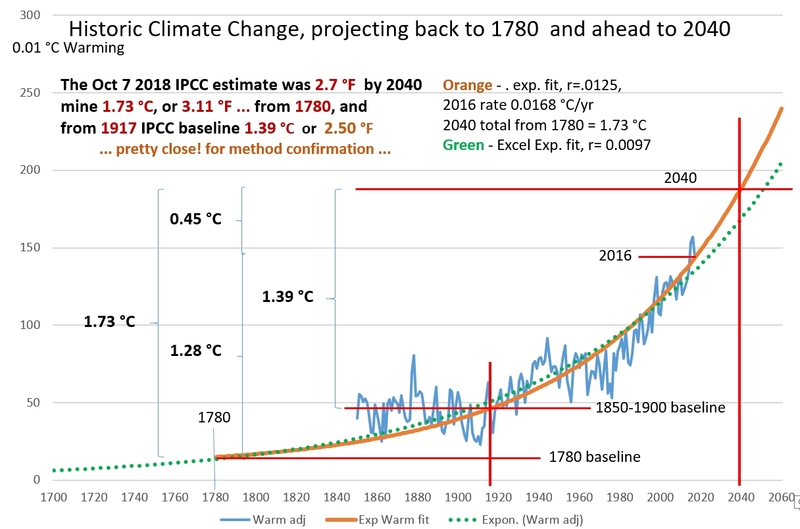 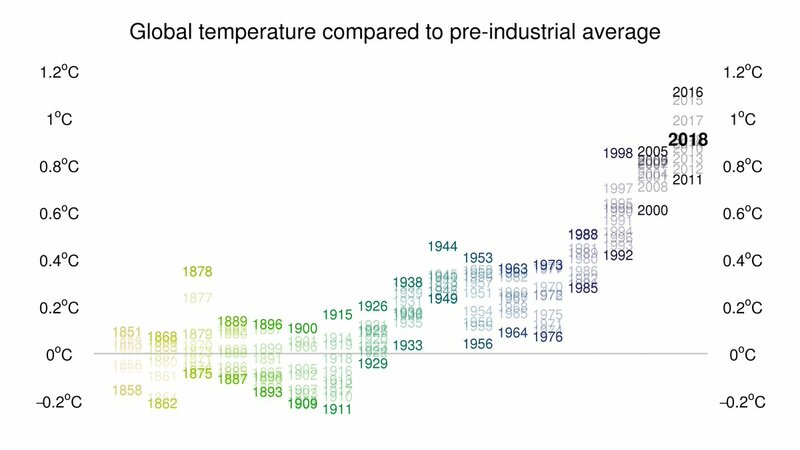 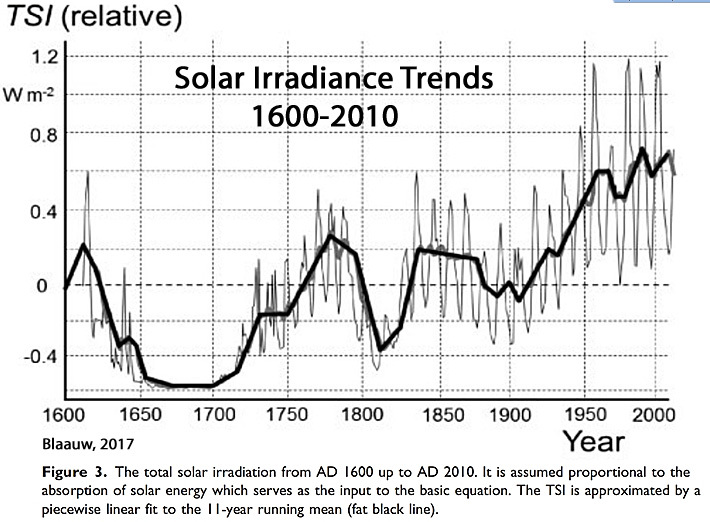 Reading from my graph, that is now 1.28 deg C warming since 1780, or 0.94 deg C since ~1917 when the average trend crossed the 1850-1900 baseline average . 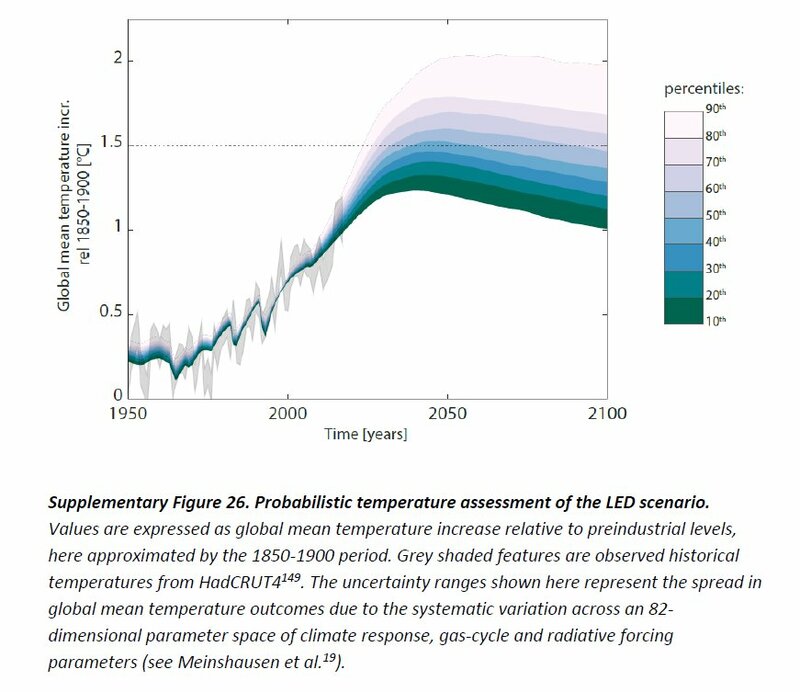 From Notz & Stroeve (2016): the observations from 1953-2015 are shown as blue symbols with the various simulations in grey & pink. 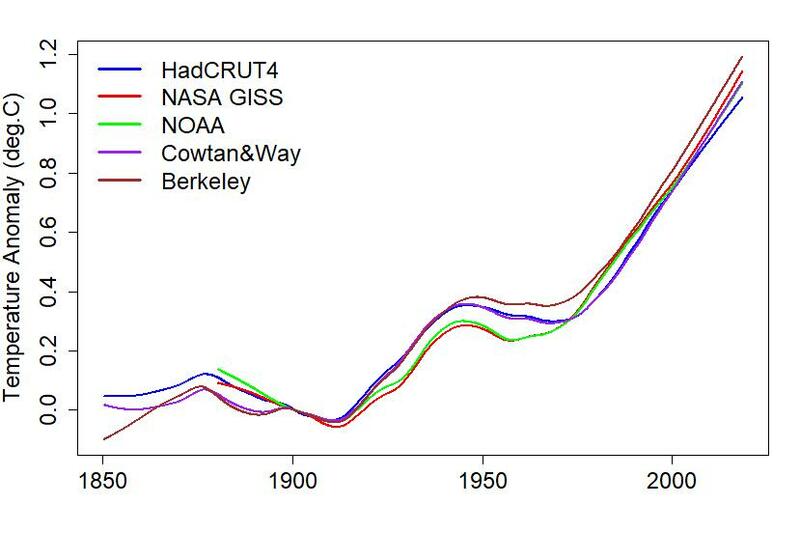 Sea level observations between 1993 and April 2018. 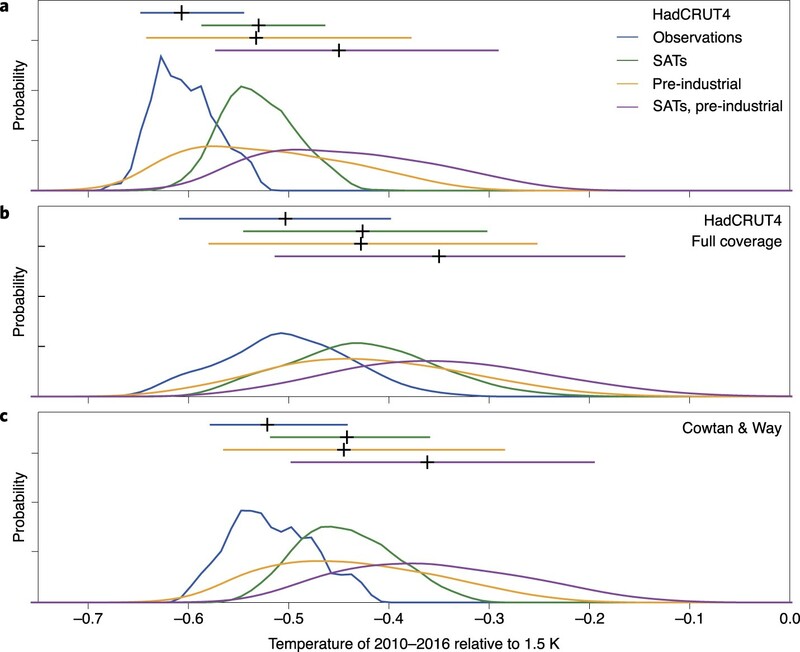 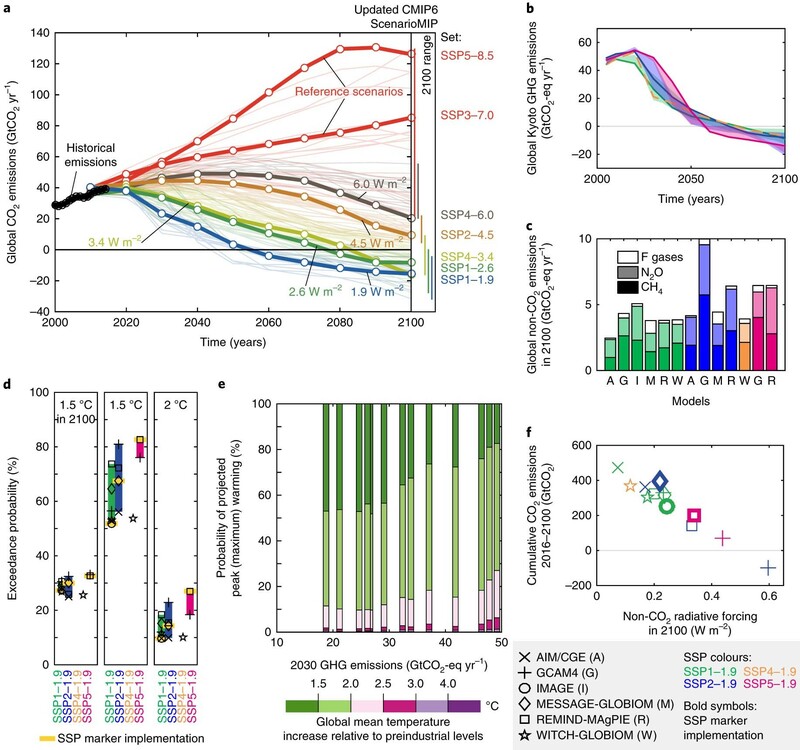 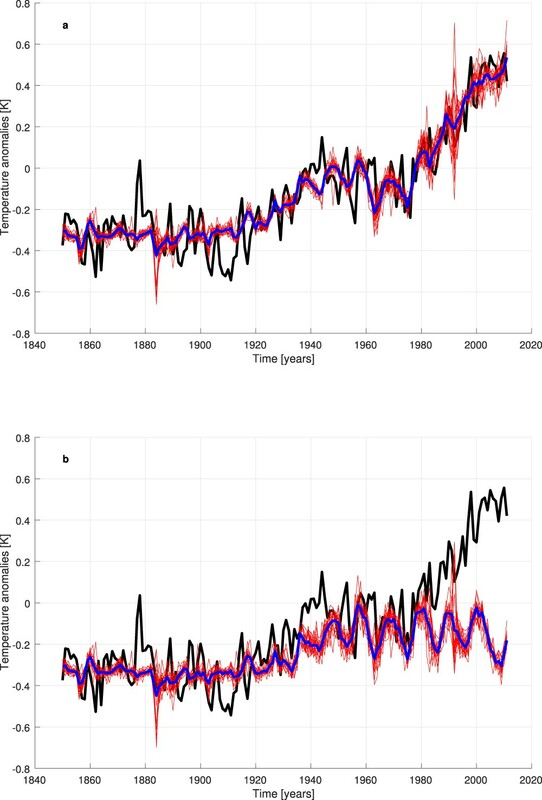 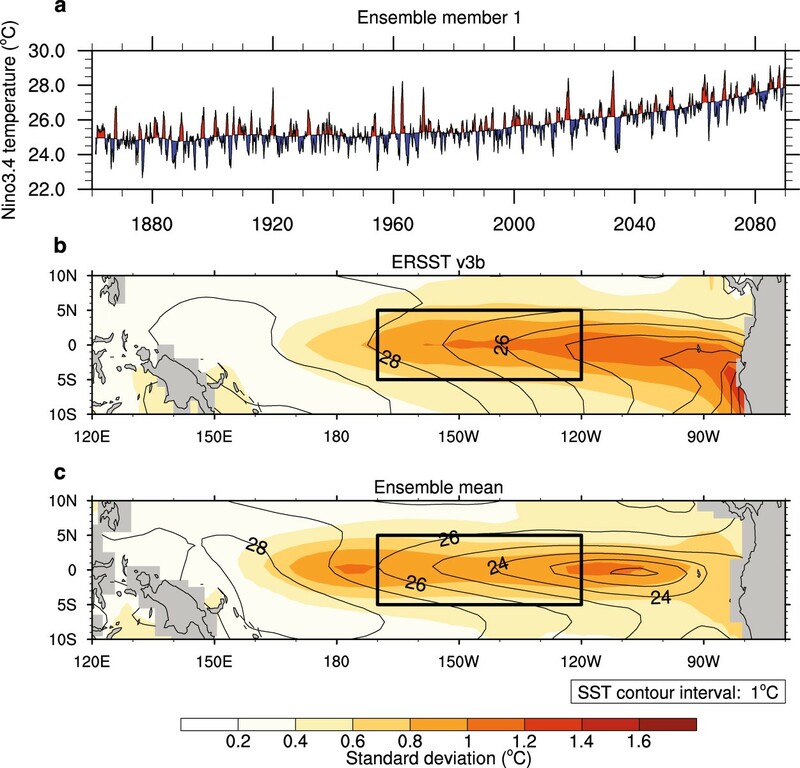 Holocene global average sea surface temperature (SST) reconstruction after Marcott et al. 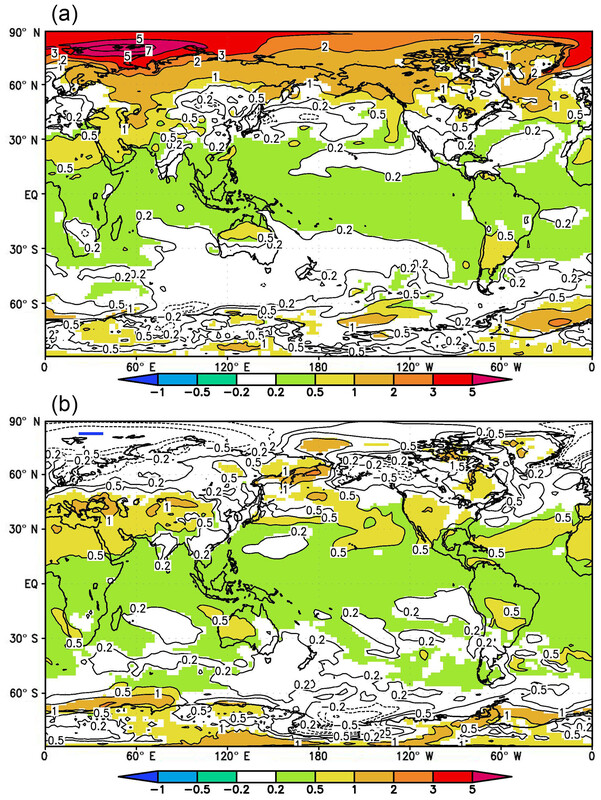 Comparison of the GMP maps obtained by using (a) PWP (1900-2000) and (b) LIA (1250-1850) minus pre-industrial climatology (500-1850) in full forcing run. 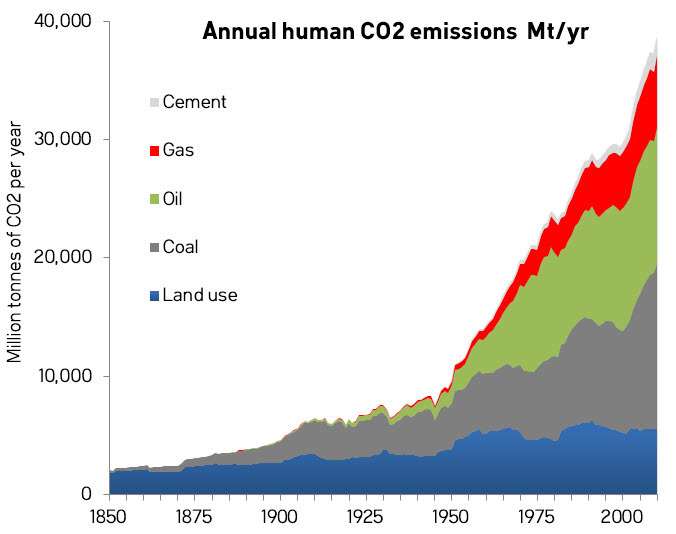 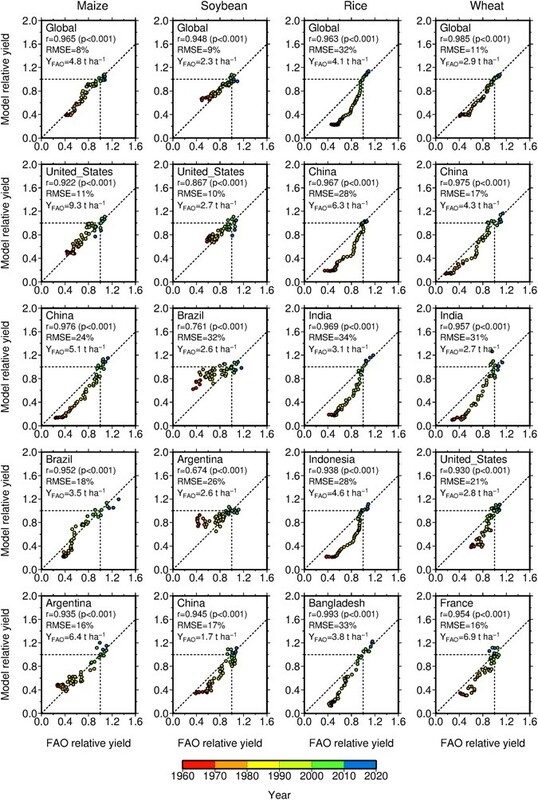 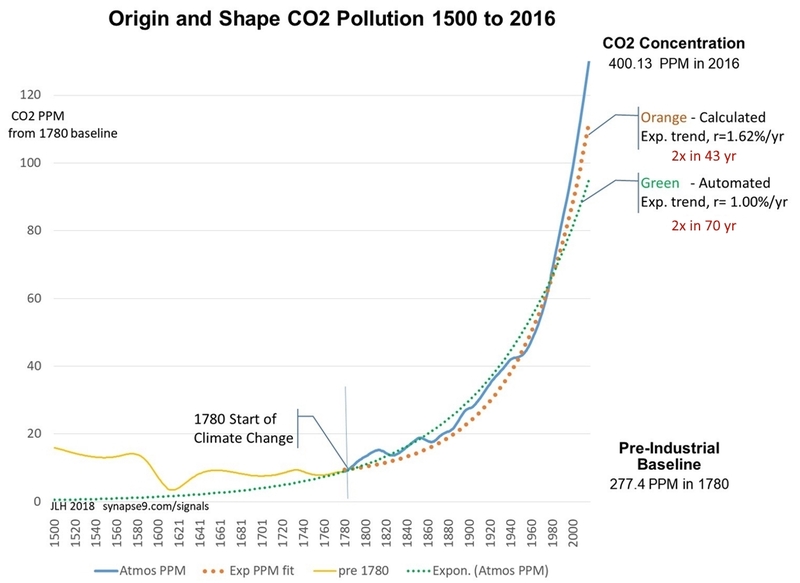 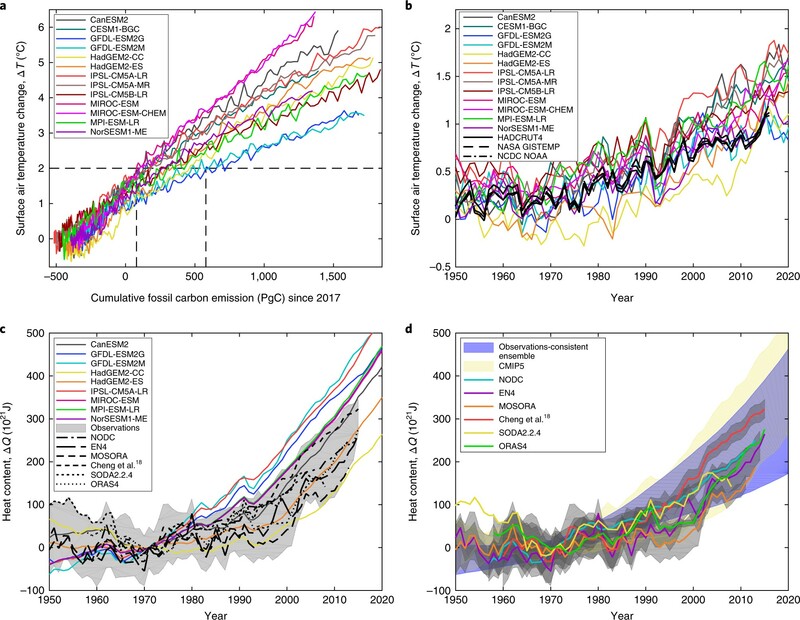 ... distributions of 20 year mean annual accumulation (Figures 2a and 2c) and 75 year trends (Figures 2b and 2d) for preindustrial and modern-day values. 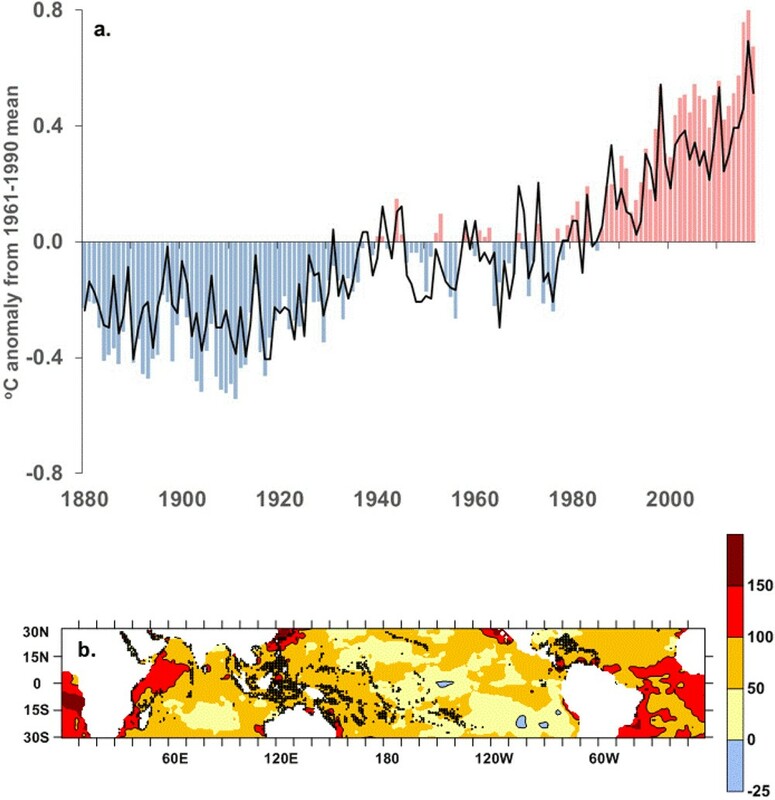 a, Global mean temperature anomalies relative to the pre-industrial (1850–1879) temperature. 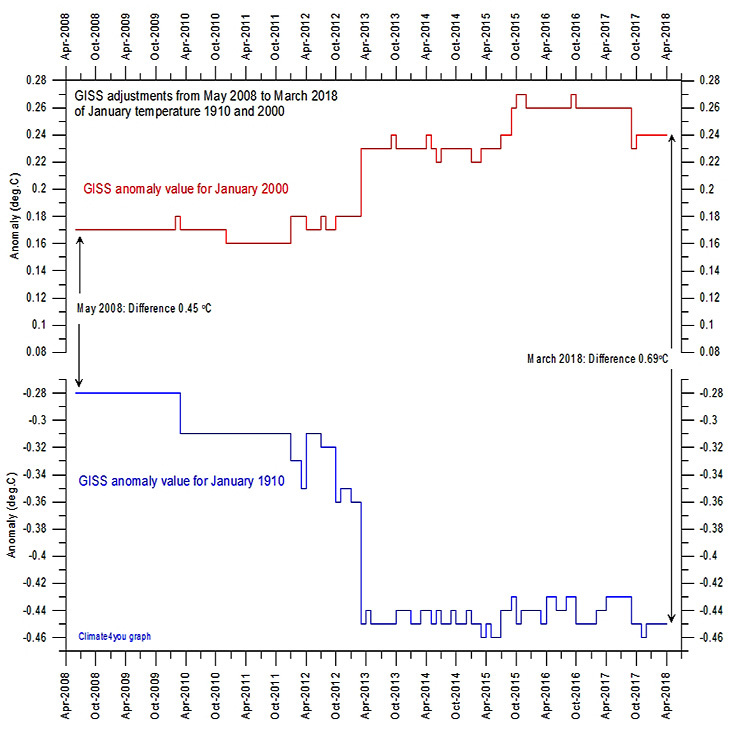 b, Glacier mass change rates. 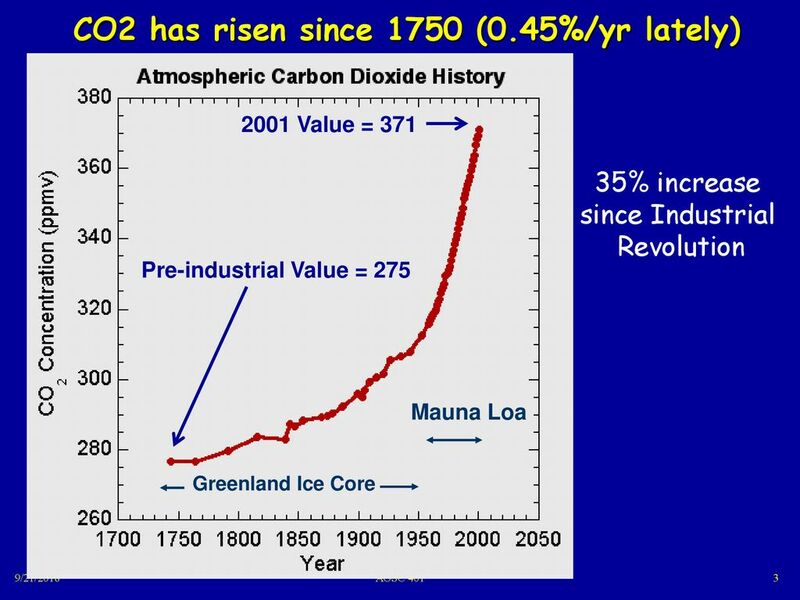 c, Global glacier mass. 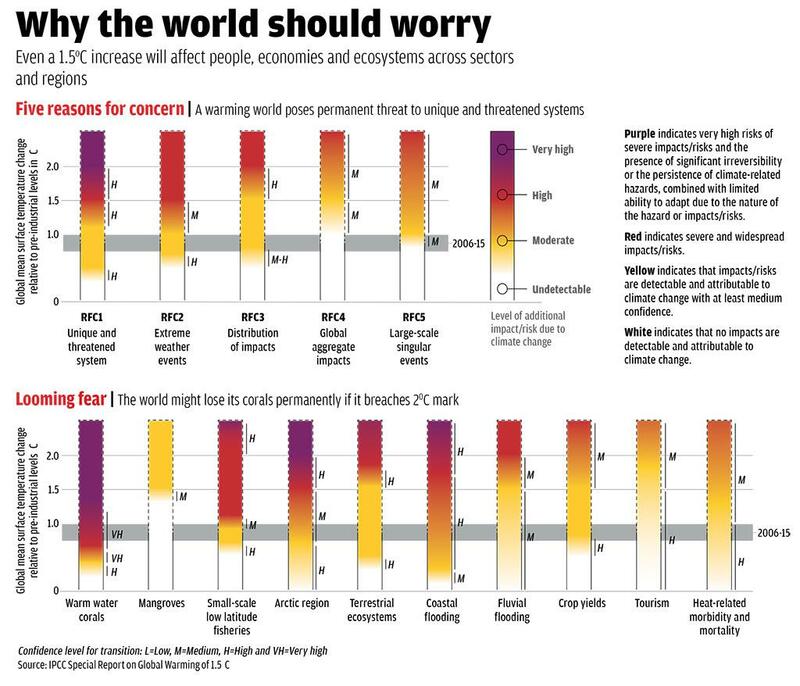 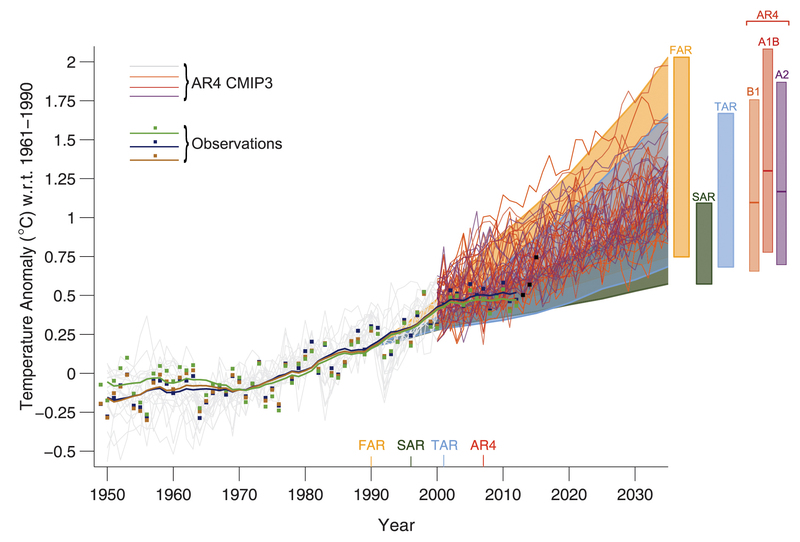 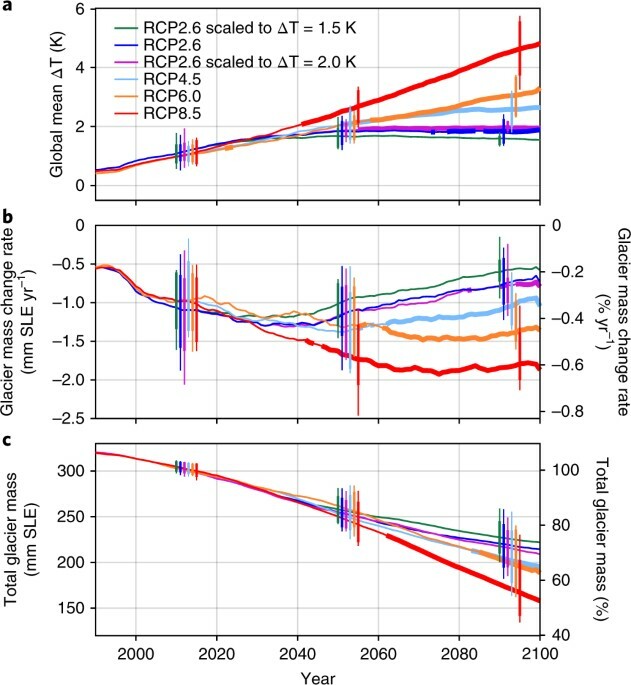 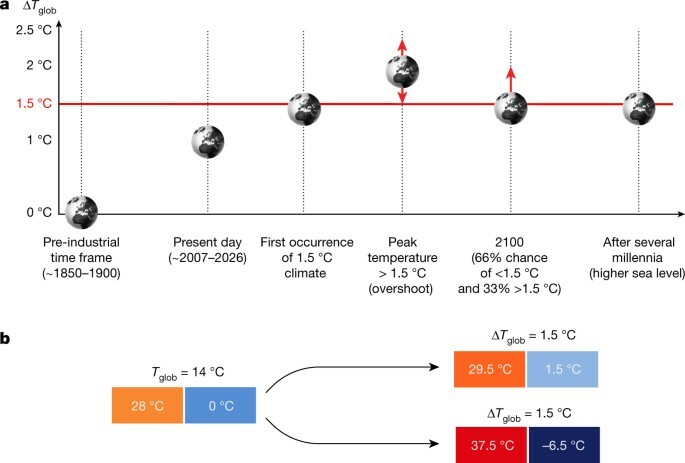 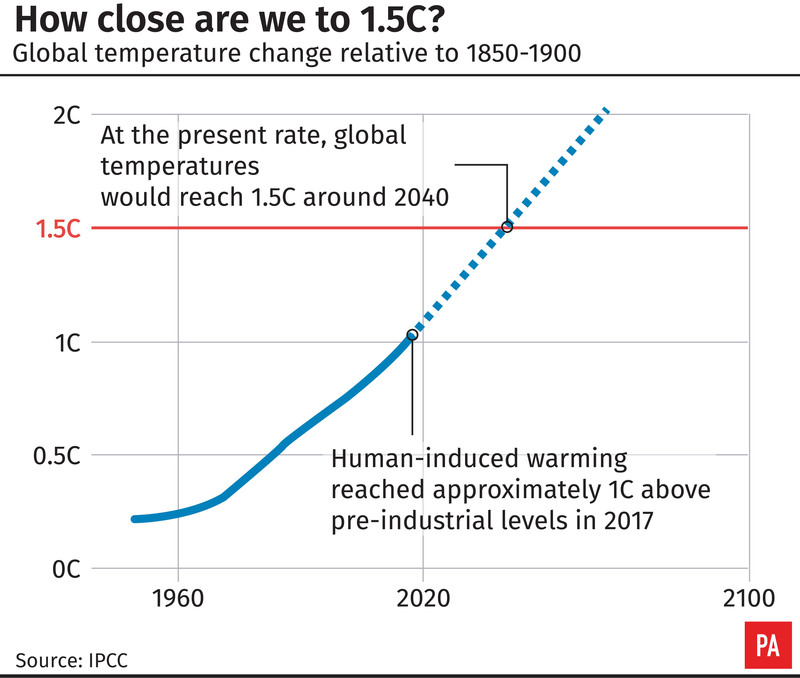 Four illustrative scenarios for limiting temperature rise to 1.5C above pre-industrial levels. 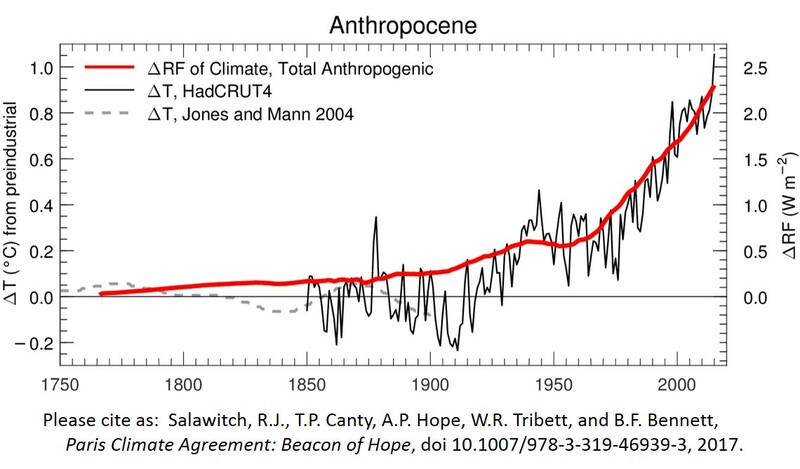 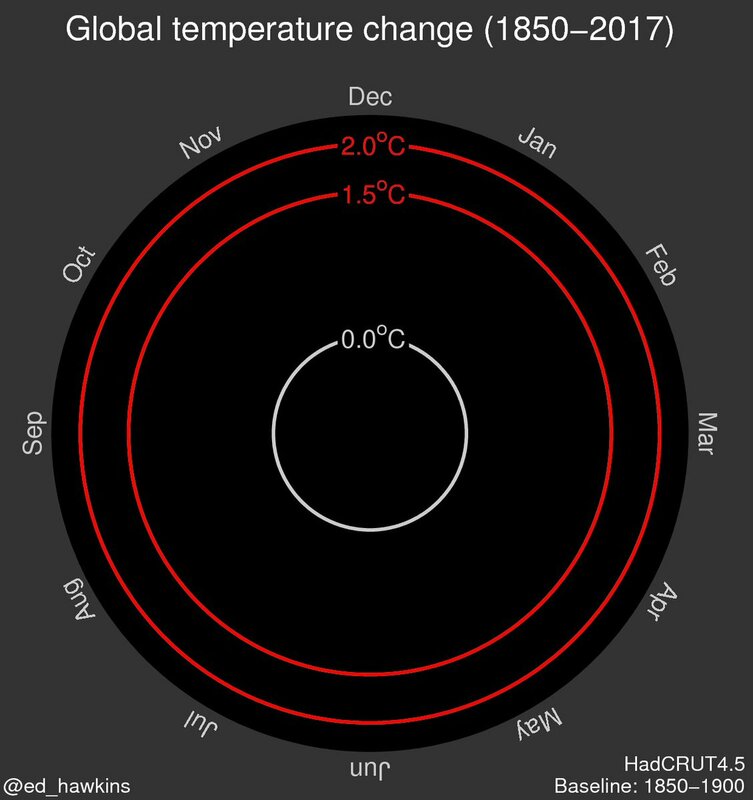 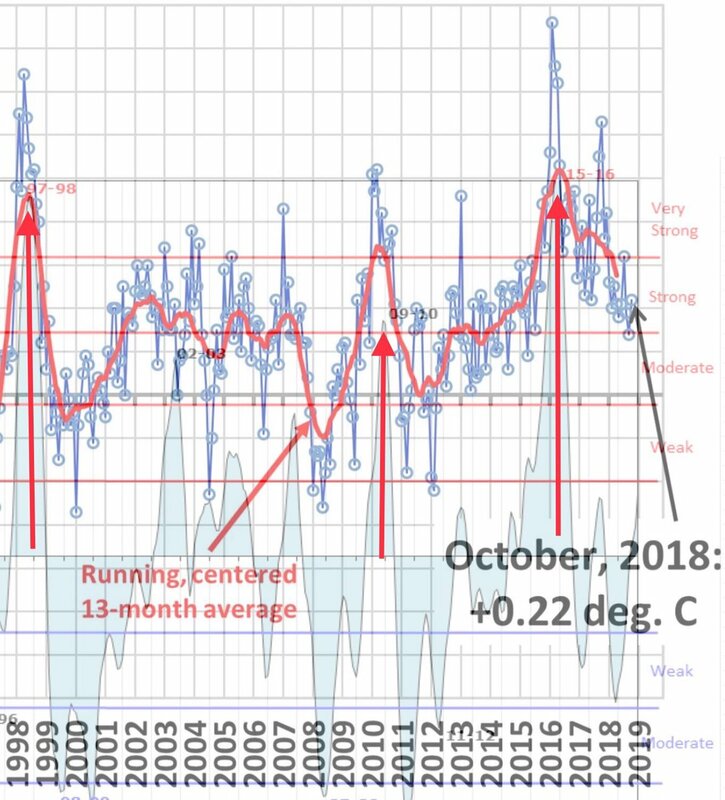 Black circles mark the yearly averages (mean annual temperature, or MAT) of GraphEM-imputed temperature values (red line). 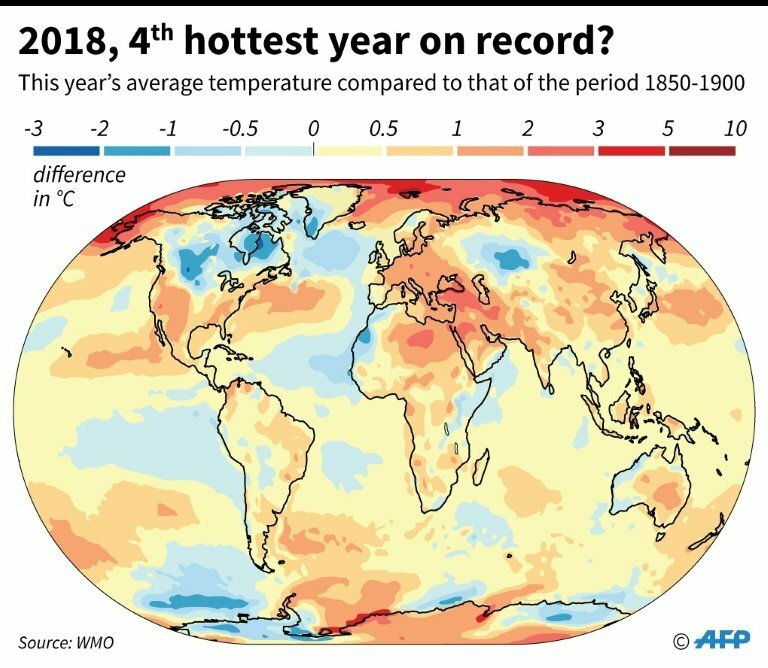 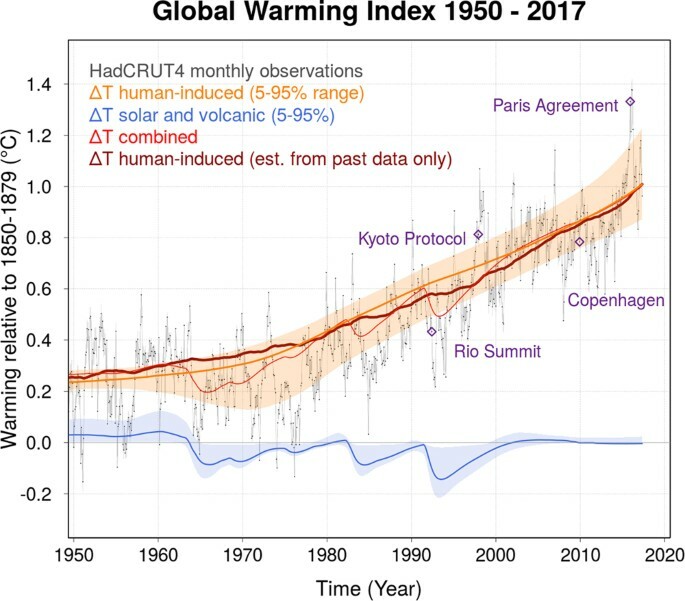 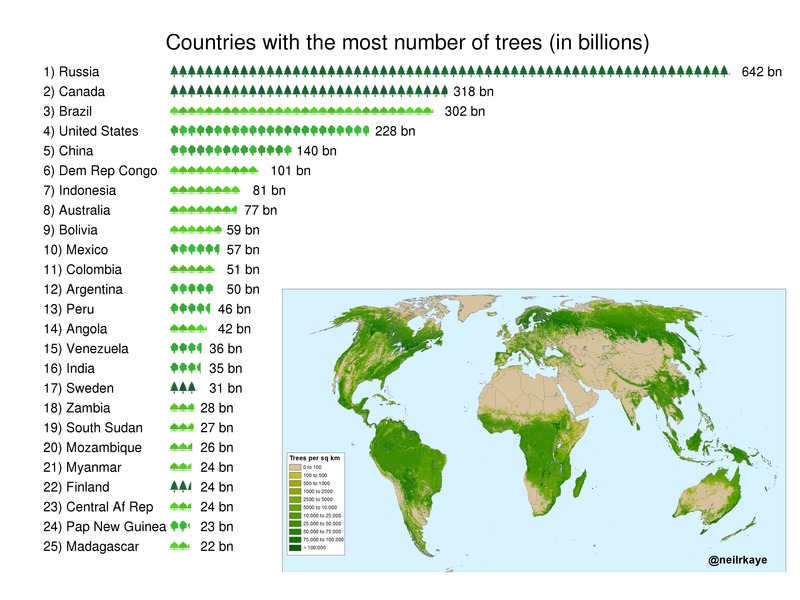 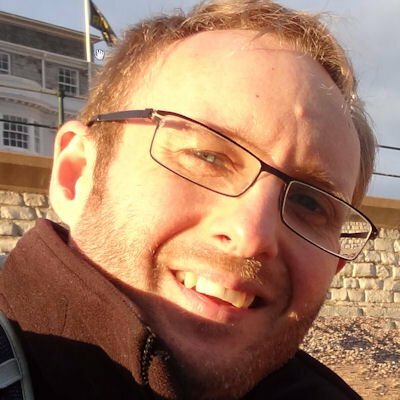 Ed Hawkins on Twitter: "The world is warming, mostly due to human activities. 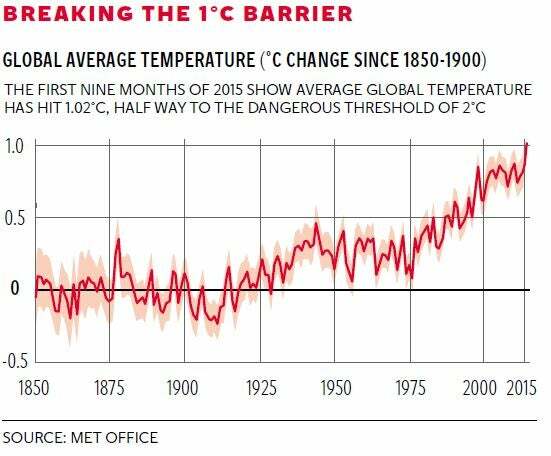 The Paris Agreement is a first step towards reducing future risks. 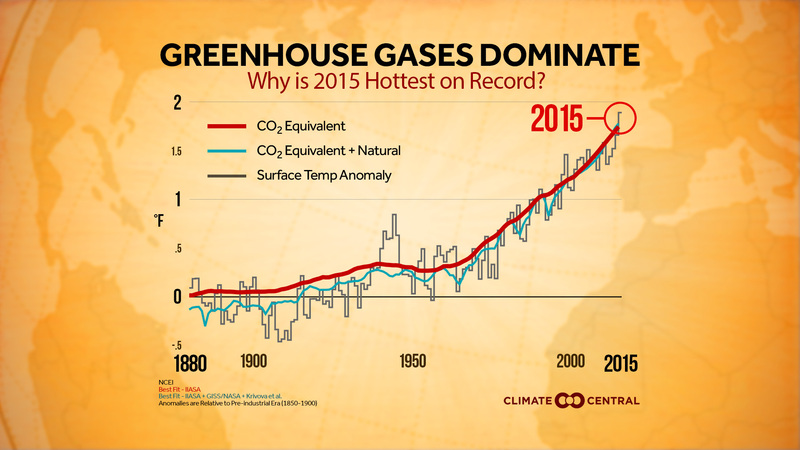 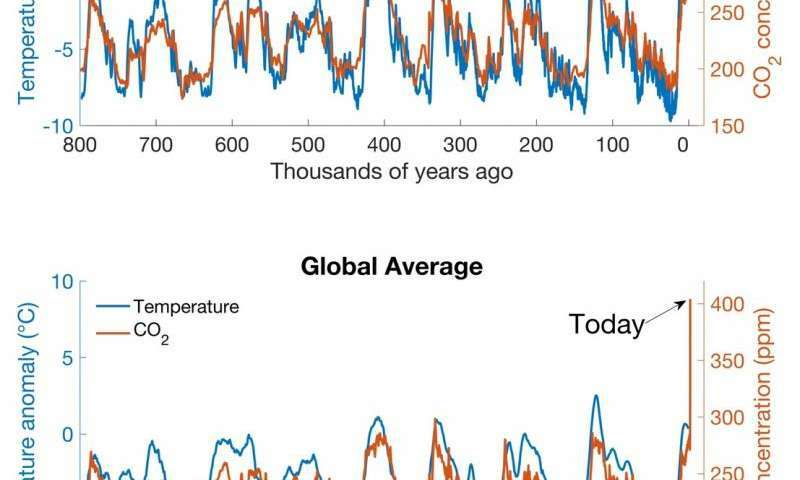 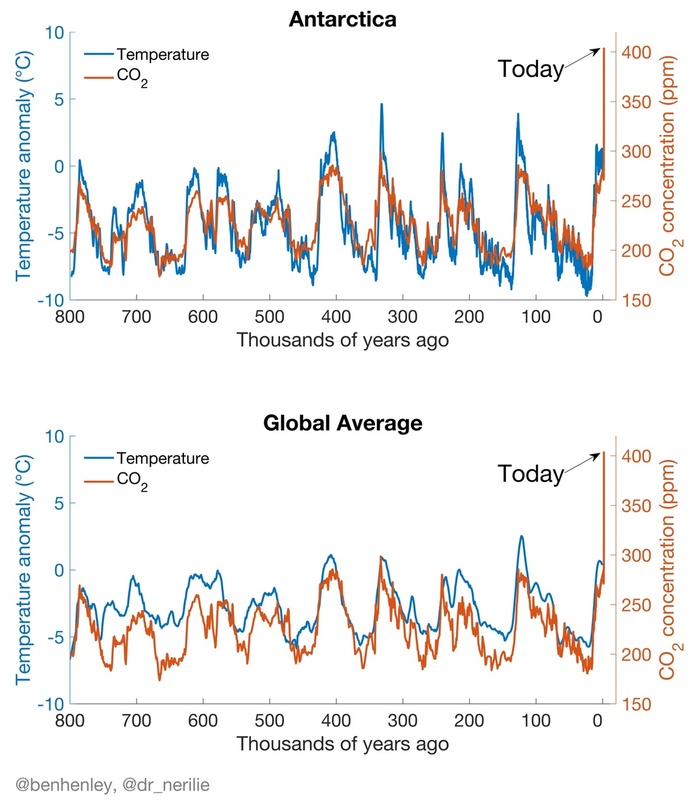 Global average temperature has increased. 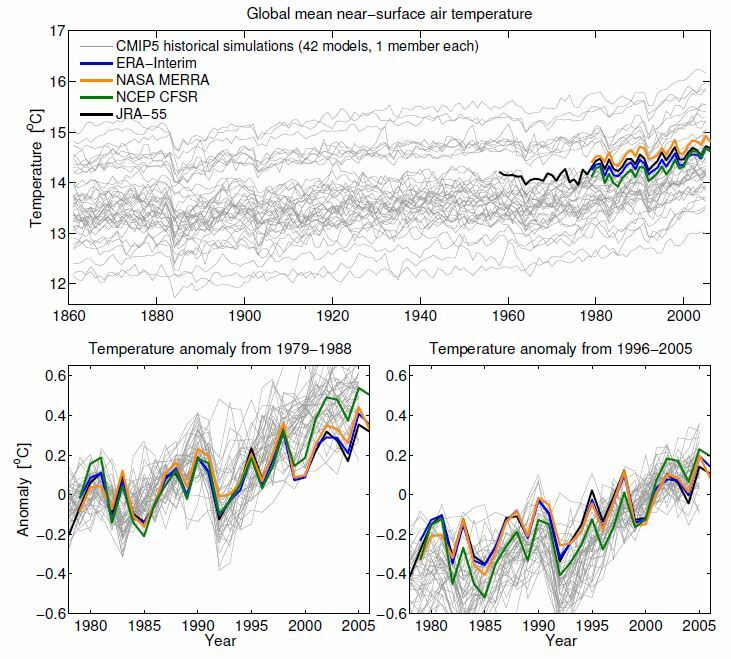 Anomalies are relative to the mean temperature of 1961-1990. 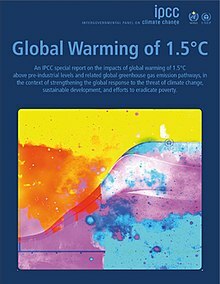 Based on IPCC Assessment Report 5, Working Group 1. 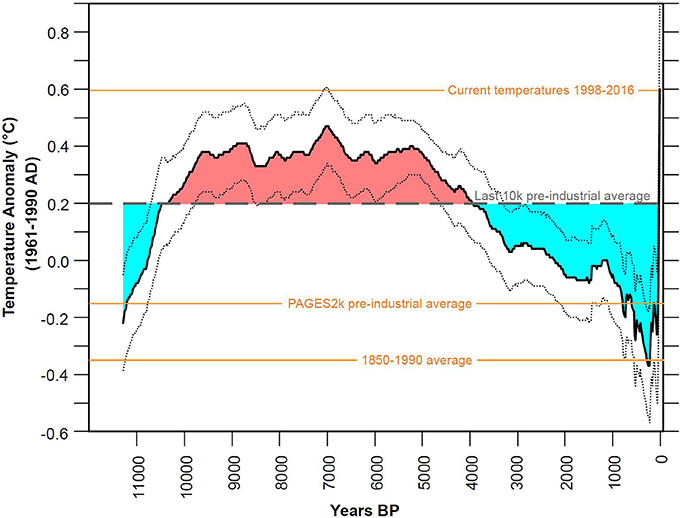 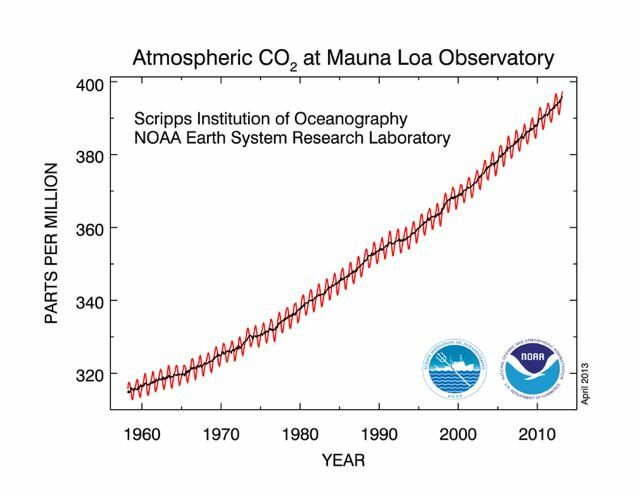 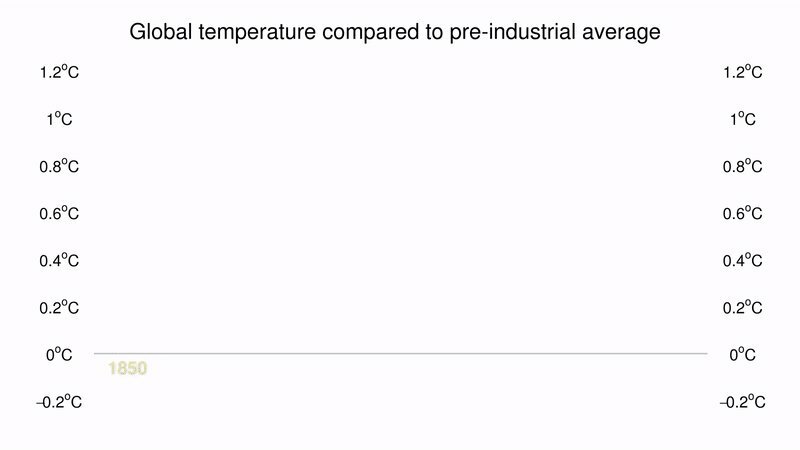 Zero warming corresponds to pre-industrial climate (1850–1900 average). 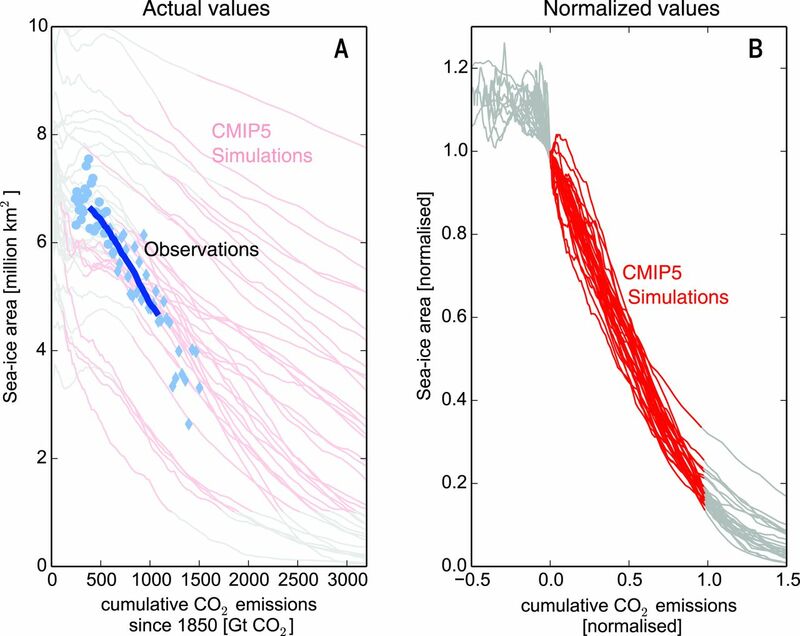 The red box corresponds to the time frame of the IPA permafrost map (Fig. 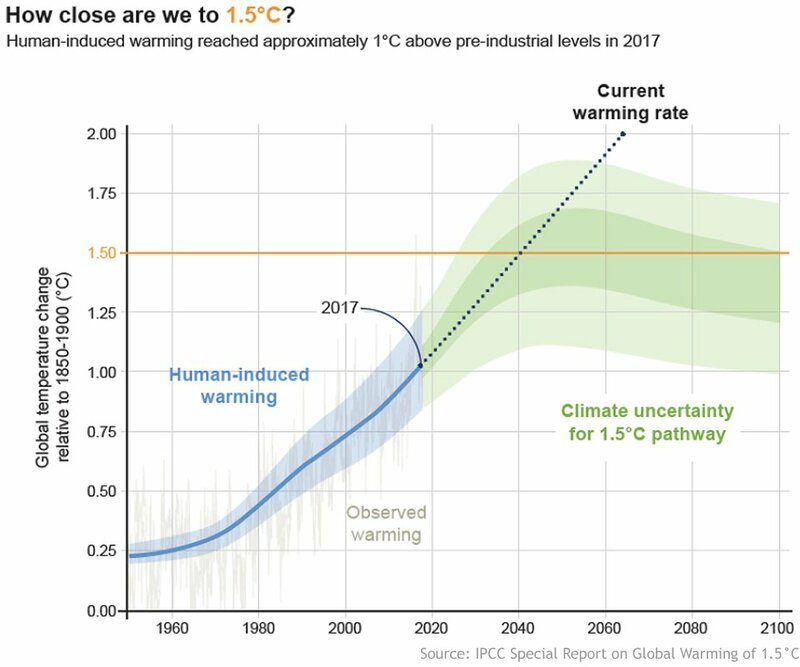 1b). 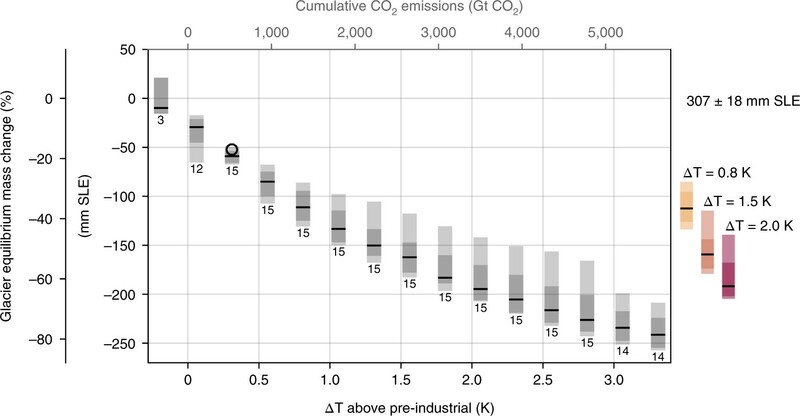 S1 Fig. 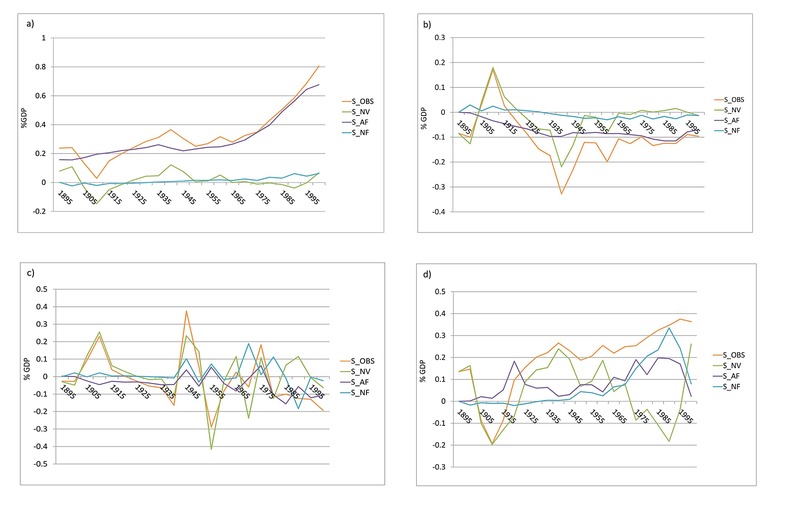 Estimated economic effects over the 20th century per sector. 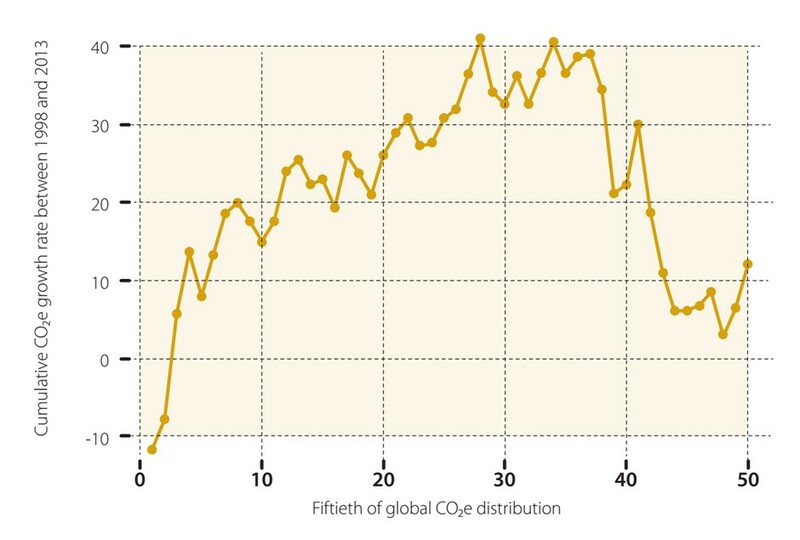 The central curve gives the most likely value, with upper and lower curves giving the plausible range. 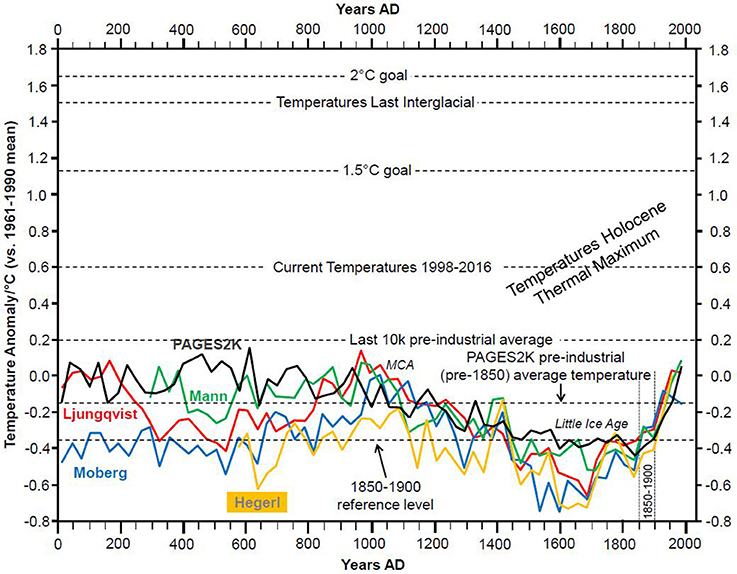 See Supplementary Fig.